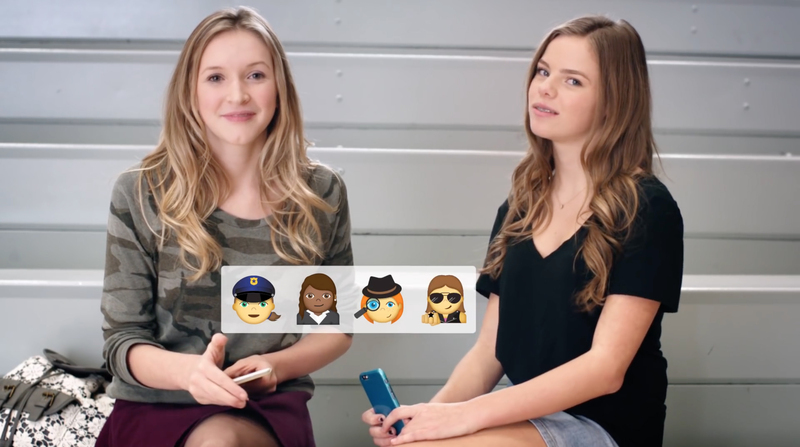 Procter & Gamble brand Always is continuing the #LikeAGirl campaign with Always Girl Emojis, a project encouraging the development of more emojis featuring women. Research run by P&G revealed that while girls are likely to regularly use emojis on their phones, there are few emojis that truly represent girls beyond the stereotypes associated with femininity. The Always Girl Emojis commercial interviews girls about their experience of emojis, career aspirations and their suggestions for the future. The gender bias campaign is part of the brand’s focus on stopping the drop in confidence girls experience at puberty. The Always Girl Emojis campaign was developed at Leo Burnett Chicago by executive creative director Nancy Hannon, creative directors Natalie Taylor and Isabela Ferreira, art directors Jin Yoo and Amanda Mearsheimer, copywriter Garrett Vernon, executive account director Annette Sally, account director Katie Nikolaus, account supervisor Sarah Kaminsky and assistant account executive Susanne Sward. Filming was shot by director Lucy Walker via Pulse Films with producers Adine Becker and Andrea Friedrich, and executive producer Tony Wallace. Editor was Angelo Valencia at Beast. Colorist was Tyler Roth at Company 3. Finishing work was done at Method Studios by artist Ryan Wood and producer Lauren Roth.